Sometimes you menu bar eats more from your screen then you can allow. 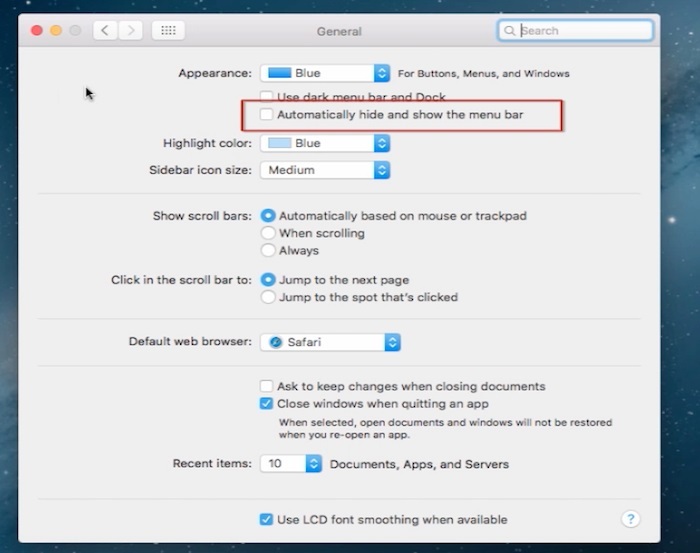 El Capitan allows you to disable menu bar view and hide it really easily. Step 1. 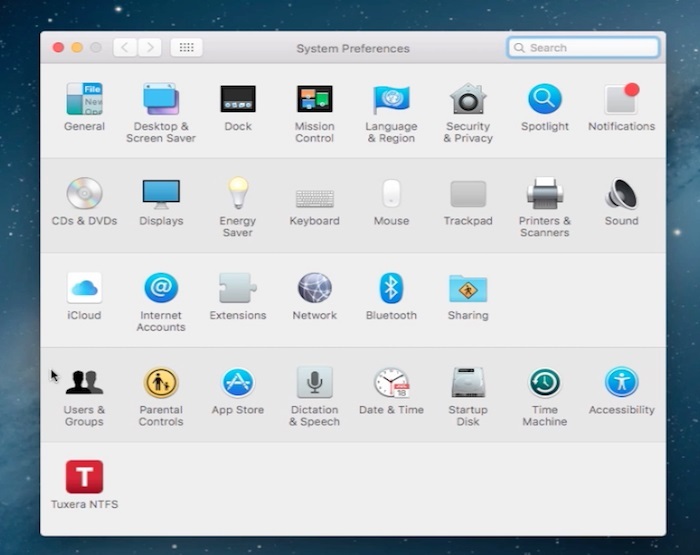 Access “System Preferences” (we usually do it via Launchpad app that we keep on the doc at the bottom of the screen) and go to “General”. Step 2. From the new window, tick the “Automatically hide and show the menu bar” option. Okay, you’re done! Enjoy using more of your screen and, if you miss the menu bar, you can always go back to “System Preferences” option window and un-tick your menu hiding choice. Result: Congratulations: you have learned how to hide the menu bar on a Mac running on OS X “El Capitan”.